In these difficult economic times, it's important to know that your repossession needs are handled by seasoned professionals. That's why it's important to call Advanced Recovery of New York. We have the experience and discretion to make short work of your asset recovery problems. What's more, Advanced Recovery is proud to be an active affiliate with the Digital Recognition Network®. 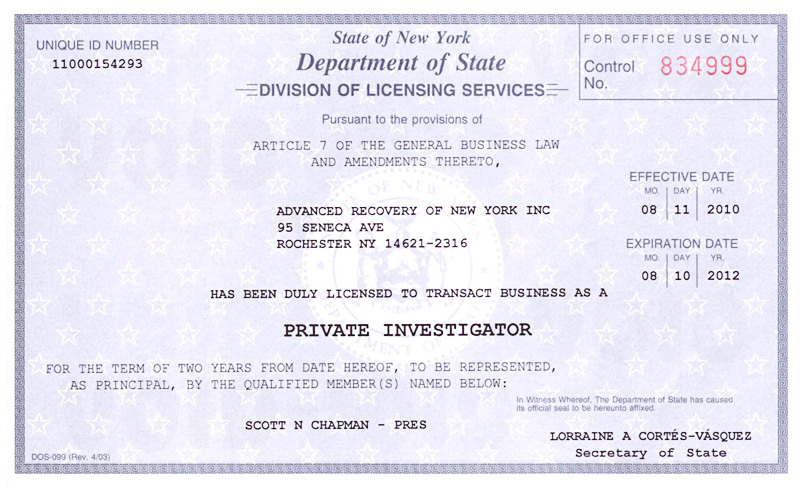 We employ the DRN® license plate recognition cameras in both the Syracuse and Rochester areas. We've compiled a database of over 500,000 plates scanned into the system thus far. Who knows, we may have already seen one of yours! !